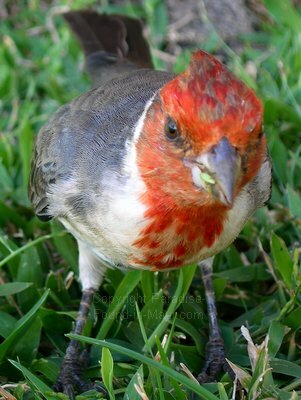 Maui Pictures: Birds, Birds, Everywhere! 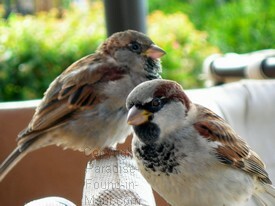 More Maui Pictures: Birds Were EVERYWHERE! As you can see, we've taken a LOT of Maui pictures! This next bunch are a few of my favourite bird shots! 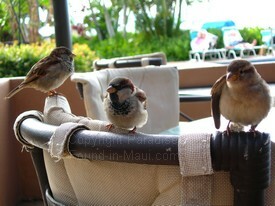 I was quite charmed by the tameness of these birds that were often in the most unexpected places on our Maui HI vacation! This gorgeous guy (or gal?) was seen hanging out in Lahaina, Maui! 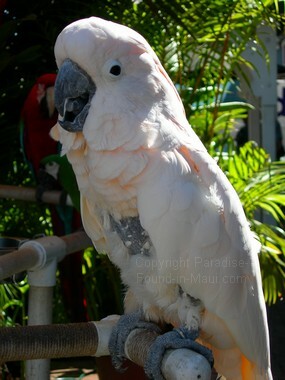 For a fee, he would let you have your picture taken with him as a memento of your Maui HI vacation!